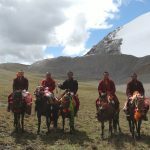 Plateau Perspectives supports community-based conservation and sustainable development in high mountain regions. 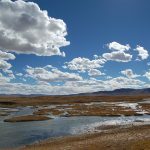 Its initial focus was the high grassland and pastoral areas of the Tibetan Plateau, most notably in the headwaters of the Yellow, Yangtze and Mekong Rivers (known in Chinese as the ‘Sanjiangyuan’ region). 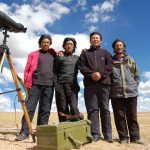 More recently, Plateau Perspectives also has begun to work in Tibet Autonomous Region, China, and in the mountain regions of the Himalayas (Bhutan) and Central Asia (Kyrgyzstan). Plateau Perspectives places special emphasis on the interests and roles of local communities in regional/national conservation and development initiatives – which has led to the development, for example, of community-friendly “collaborative management” models of conservation in China’s renowned Sanjiangyuan region in Qinghai Province. In addition to the projects outlined below, senior staff also may consult for other projects and organisations when these align well with Plateau Perspectives’ overall mission. 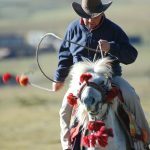 “Horseback Planet Society” was established to help develop sustainable community tourism in mountains regions, building on early work pioneered in the Yangtze River headwaters and the Qinghai Lake area. 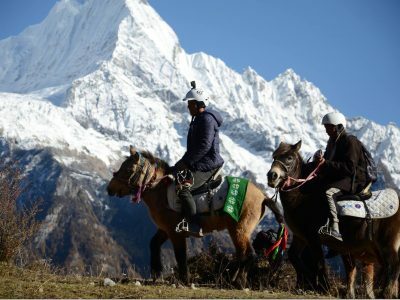 With a focus on environmental conservation and on horse-riding as a way to connect with nature and local cultures, the Society’s approach to responsible tourism is gaining great popularity in China. 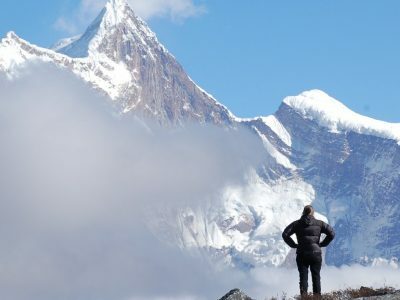 Plans are now also being put in place to further extend the reach of its mission, including the development of community partnerships in the Tianshan and Caucuses mountains. Situated at the foot of Namche Barwa Mountain (7,795 m) in eastern Tibet Autonomous Region, China, the Langduo Village Clinic was built to serve the many nationalities who live in this rural district. 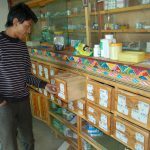 This village clinic was built by Plateau Perspectives and is dedicated to the memory of Jane M Torrance, who supported the Tibetan people for many years through her faithful service as administrator of Plateau Perspectives Scotland. The Pamirs Mountains and Yagnob Valley in Tajikistan are home to extraordinary landscapes, abundant biodiversity, and ancient cultures. The Yagnobi are direct descendants of the empire of Sogdia. 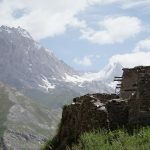 Both the people from the Yagnob Valley in northern Tajikistan and the Pamiri and Kyrgyz people in Gorno-Badakhshan in the east of the country have many distinct cultural traditions and local livelihoods well adapted to their regions. 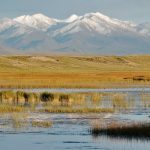 The Mountains of Central Asia biodiversity hotspot are well recognized, but still lack adequate conservation. Plateau Perspectives is now partnering with the Lapis Guides team to develop a series of digital field guides – participatory tools that can enable the public to participate in environmental conservation. 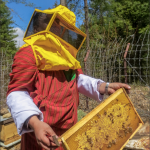 Under the auspices of Royal Thimpu College (RTC), on on-going Apiculture (bee-keeping) project is exposing college students to field-based educational opportunities, as well as improving crop yields and strengthening community connections. 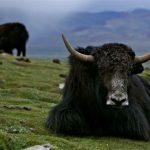 The high mountain regions of the Tibetan Plateau and across Central Asia suffer from some of the world’s harshest environmental conditions. 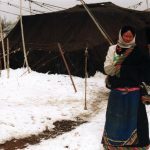 Shrinking natural resources, especially water, often leads to rising insecurity… Snowstorms, drought, earthquakes and conflicts also may arise… Where possible, Plateau Perspectives aims to continue partnerships even in desperate times in the regions where it serves. 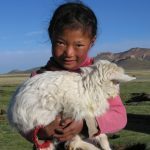 QGF is dedicated to supporting local communities and organization in the Tibetan plateau region to improve people’s quality of life and help protect the natural environment. Plateau Perspectives is supporting these important endeavours in several ways. Quinoa is a nutritious grain originally grown in South America. It is well adapted to high altitudes and harsh, dry environments. 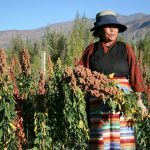 With excellent nutritional and economic value, quinoa can contribute to enhanced food security along with poverty alleviation on the Tibetan plateau. 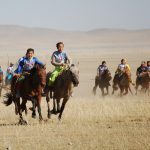 Yurta Association promotes partnerships and conservation of biocultural diversity in High Asia. 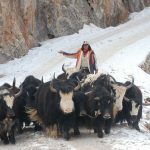 Cultural anthropologist Mr Carralero is working with a range of partners in High Asia to establish a ‘World Yak Herders Association’. 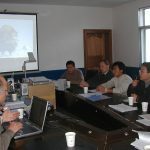 Partnering organizations include Mountain Partnership, University of Central Asia, Kegawa Herders Cooperative and Plateau Perspectives. 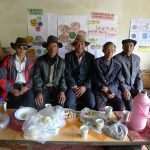 Launched in 2010, Kegawa Herders Cooperative now has over 90 member households. 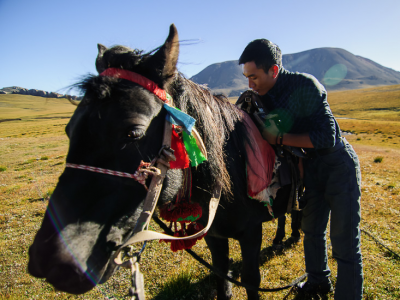 As voluntary association of entrepreneurs, the coop encourages innovative thinking as it helps to create new business opportunities in high grassland regions of the Tibetan plateau. Ecotourism is “responsible travel to natural areas that conserves the environment and improves the wellbeing of local people.” Plateau Perspectives is building local capacities in community-based tourism for development. 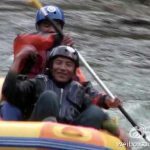 The Qinghai Ecotourism website was built to promote this important concept and approach in China, with a focus on Qinghai Province, and to promote awareness of local community tourism ventures in the Tibetan Plateau region. Protected areas, or PAs, are areas that receive protection because of their recognized natural, ecological and/or cultural values. 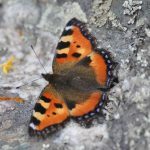 As outlined by the UN Convention on Biological Diversity (CBD), PAs yield flows of economically valuable goods and services that benefit society, secure livelihoods, and contribute to the achievement of Sustainable Development Goals (SDGs). 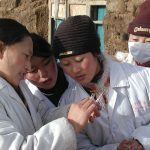 Plateau Perspectives initiated a rapid response, establishing a medical camp and providing immediate emergency care for over 1,200 people within two days of the earthquake that devastated Yushu on 14 April 2010. In later phases, basic household supplies as well as equipment for emergency response teams were purchased and distributed in Yushu by a team of volunteers from China and abroad. The NGO Sichuan Shuguang Community Development Training Center aims to strengthen community abilities and to promote communities’ “harmonious development” and well-being through participatory work methods. It is collaborating with the Plateau Perspectives team on several projects, including the development of herders’ associations and local development revolving funds. Founding in 2005, D-Starine encourages and trains volunteers to serve on disaster relief projects and on community development and reconstruction programmes. It is committed to enhancing communication and promoting exchanges between urban youth and a variety of ethnic groups from all over the world. D-Starine has cooperated with Plateau Perspectives since 2010. Plateau Perspectives’ community health work has included training of doctors and women’s health workers, immunizations and other preventative health measures, the establishment of community health centres and rehabilitation work with people with disability. While Plateau Perspectives’ work is focused on community development and protecting the natural environment in mountain regions, occasionally there are special circumstances that warrant a change of focus – at least temporarily. Such is the case when natural disasters strike, such as severe snowstorms. As wildlife recovers from natural and anthropogenic pressures, populations increase and behaviours change. 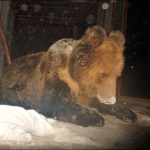 In recent years, the level of human-wildlife conflict in the Sanjiangyuan region has been increasing, especially with brown bears. This project sought to trial the viability of solar-powered electric fences as a safeguard against intrusions by bear into herders’ winter homes. Basic education is a fundamental asset that helps with regional socioeconomic development. 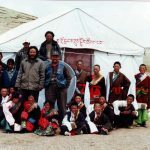 Early in our work in the Yangtze River headwaters, local community members and leaders requested Plateau Perspectives to support them in developing their own primary schools – initially in the form of tent schools, which could be moved as required to fit the needs of the Tibetan nomadic pastoral lifestyle. 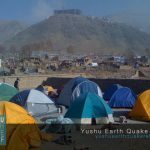 A major earthquake devastated Yushu on 14 April 2010. More than 2,200 people died and around 10,000 people were left seriously injured. Plateau Perspectives assisted with immediate medical care, and subsequently also with development of regional rehabilitation services. A community-managed revolving fund for local development was first trialled in Lari in 2011. Supported by Ford Foundation, this project works with herding communities to assess social and natural capital and build management capacities in ways that promote community level autonomy. 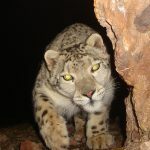 Plateau Perspectives has promoted community based governance and management of natural resources in many ways over the past decade, from support for the development of herders’ cooperatives, to community-based ecotourism, to collaborative snow leopard conservation. 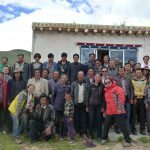 The Snow Leopard Community Conservation Project has clearly demonstrated the benefits of working closely with herders for conservation. Traditional custodians of the land are the best partners for ensuring a sustainable future, and should be supported to manage biodiversity. 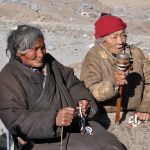 Health is a major problem in remote mountain regions, such as the Tibetan plateau. In particularly, mothers’ and children’s health was found to be especially poor – with around a quarter of children dying within their first year of life. Upgrading the professional abilities of village level health workers is the first line of defence.